We spent an amazing Saturday in Santa Barbara and Los Olivos. After stopping in Santa Barbara at our favorite lunch spot, Brophy Bros., we took a scenic drive up to Los Olivos, just 30 miles north. 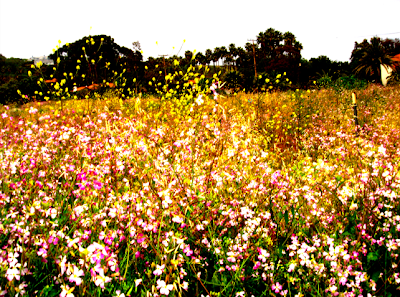 On our way, we drove by this AMAZING wild flower field! 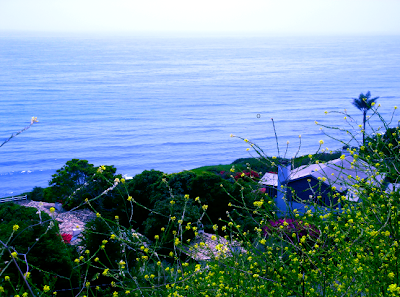 What was so wonderful is that on one side of the road were never-ending flowers and the other side was the Pacific ocean. It was so peaceful yet vibrant in color! I love being inspired by nature and the gorgeous colors that it provides. In our small space, our mirrored buffet reflects the color accents in our home and captures the natural light streaming in through our floor-to-ceiling windows. Almost like the ocean reflecting glints of the sun and sky. 0 Responses to "COLOR MOMENT: Wild Flowers"